I remember one of the rare occasions I received a Valentine’s day gift. I know, you’re shocked, right? Surely, someone as stunning as me should be taking the morning of the 14th February off work so I can await the postman and his overstuffed sack of mail just for me! Truth is, even the card from my Dad (who I could always count on) stopped a few years ago. Anyway, Once upon a time I received a rose, left anonymously on my front door. …Don’t buy the flower from my sister’s florist shop! I’ve recently been making a series of mini craft kits designed for beginners. 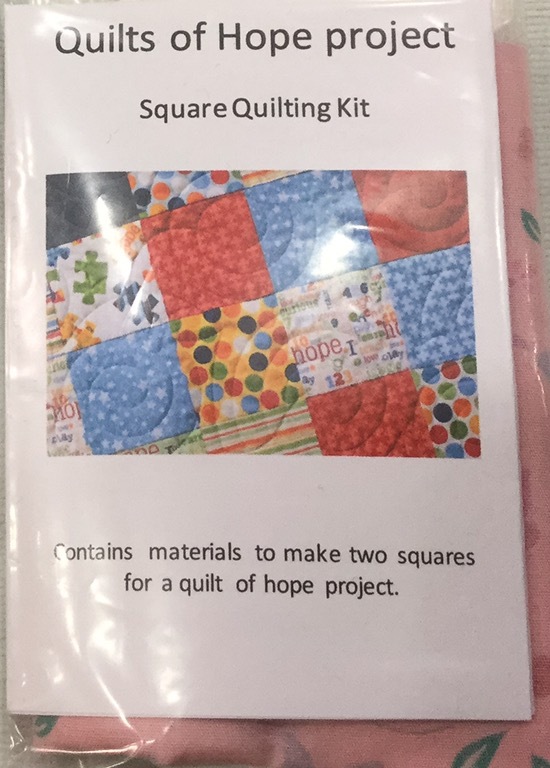 Each kit comes in a small gift box, so the finished item can be given in the presentation box as a present. They come with almost everything you need to make the finished brooch, you’ll need scissors and maybe a pencil. My latest kit though is perfect for lucky crafters this Valentine’s Day. 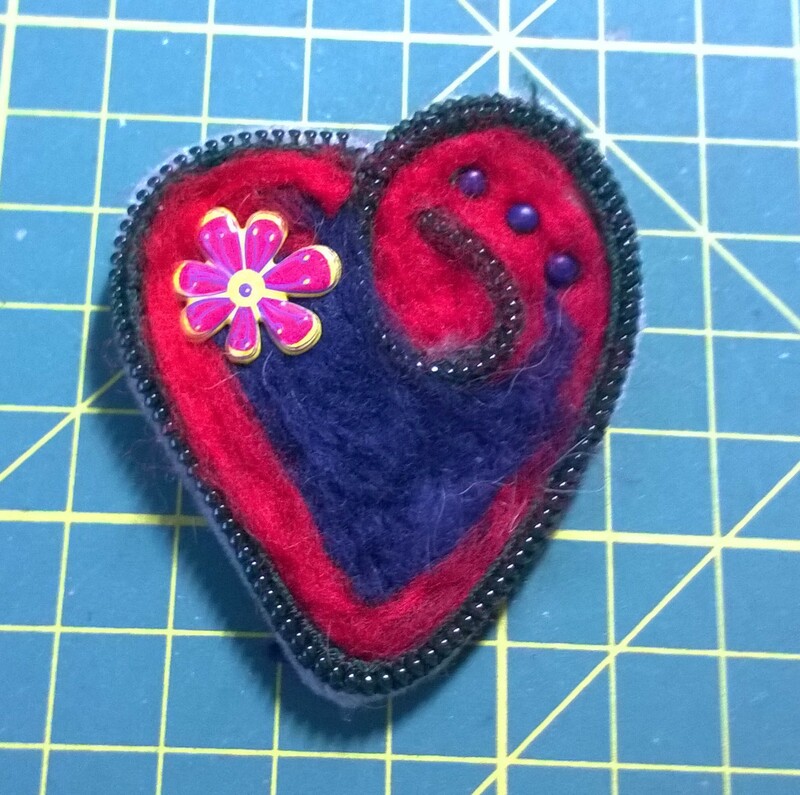 It comes with all the materials you need (Yep, you need to provide your scissors and a pencil) to make your very own Valentine’s day brooch. 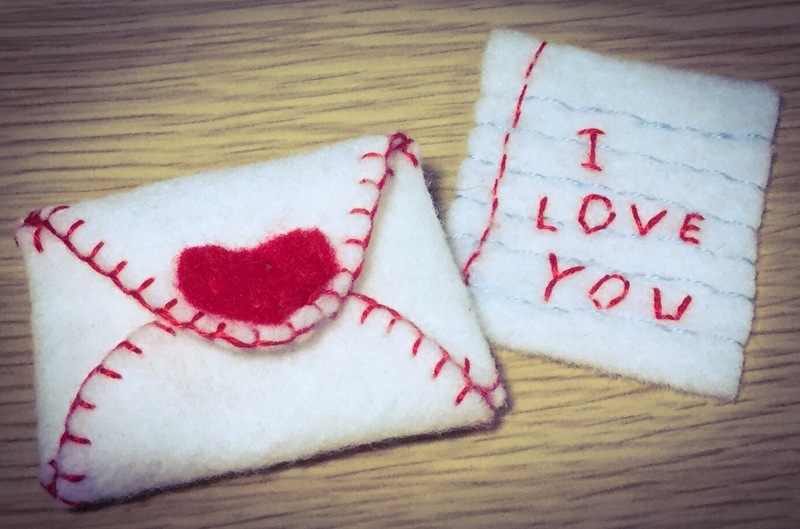 The tiny wool-blend hand-stitched envelope is a brooch your loved one can wear, and hidden inside is a hand stitched love message just from you. 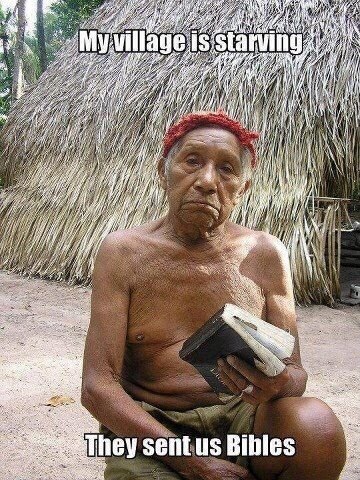 …and if any of my family are reading this, hint at my dad that I want my card! Where was week 6 post I hear you all complain, well, week 6 was spend travelling to London for a Poverty Truth event and then either worn out or tracking down suppliers. This running a business lark isn’t all excitement and games, I’m finding out that a lot of it is pushing doors and google. But week 7, finally we’re off. 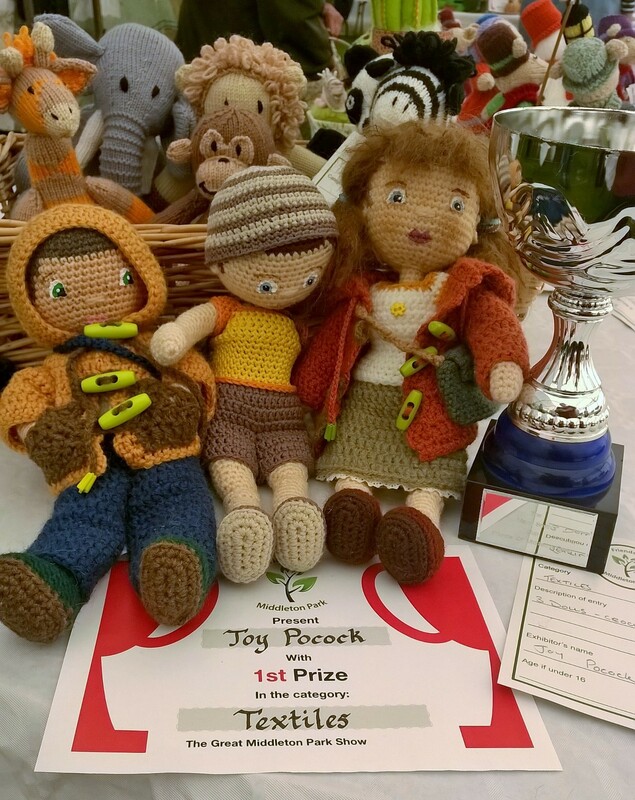 My dolls came first in the Middleton Park annual shows textile competition (and why wouldn’t they?) See that big silver cup just edging into the photo, yep… on my desk at home. Never had a trophy before. So now, I’m calling my dolls award winning, because they are. I’ve done a lot of work updating the pattern, just need to write some instructions on paining faces then it will be ready. If you’ve already bought the pattern on Revelry it will automatically be available to you. Also in my Etsy shop are new little sets of buttons. The big order of toggles and cord ends used in my dolls have arrived and are ready to buy. The kits contain three toggles and two cord ends in many colours, perfect for a variety of dolls, especially 15″ to 18″ and add a lot of character. It feels like the hard work is paying off, now I just need a few more customers to settle my nerves on having to spend so much on stock! 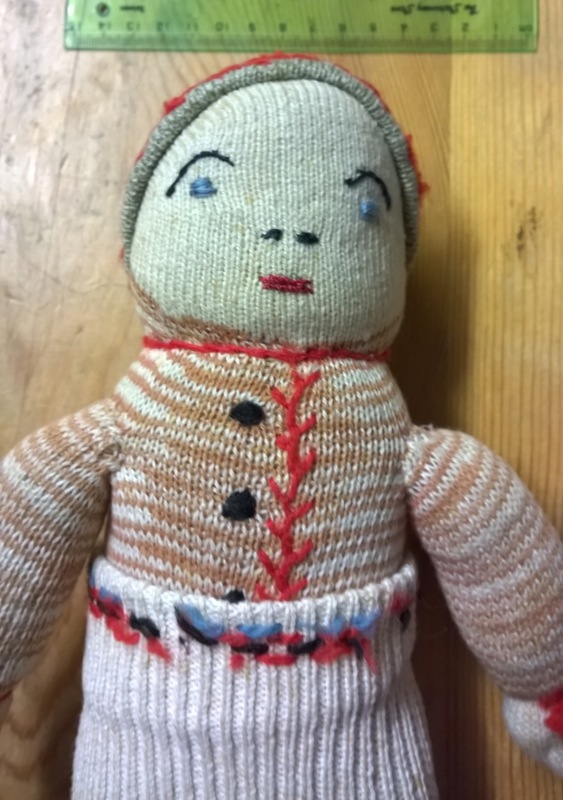 I am about a week away from finishing the pepperpot doll pattern and am just so excited about it. 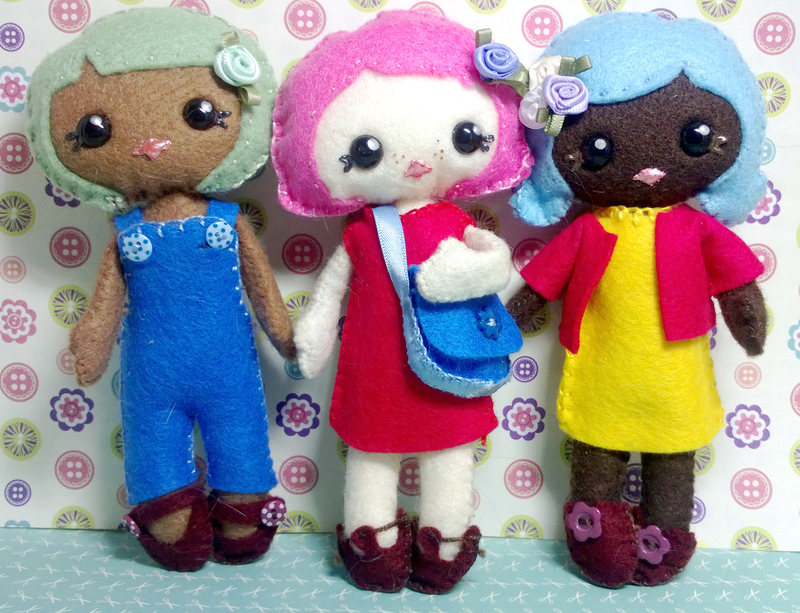 The pepperpot dolls is inspired by Gingermelon and the girls from my felt sewing class. They’re 6 inches tall (the size of a pepperpot!) 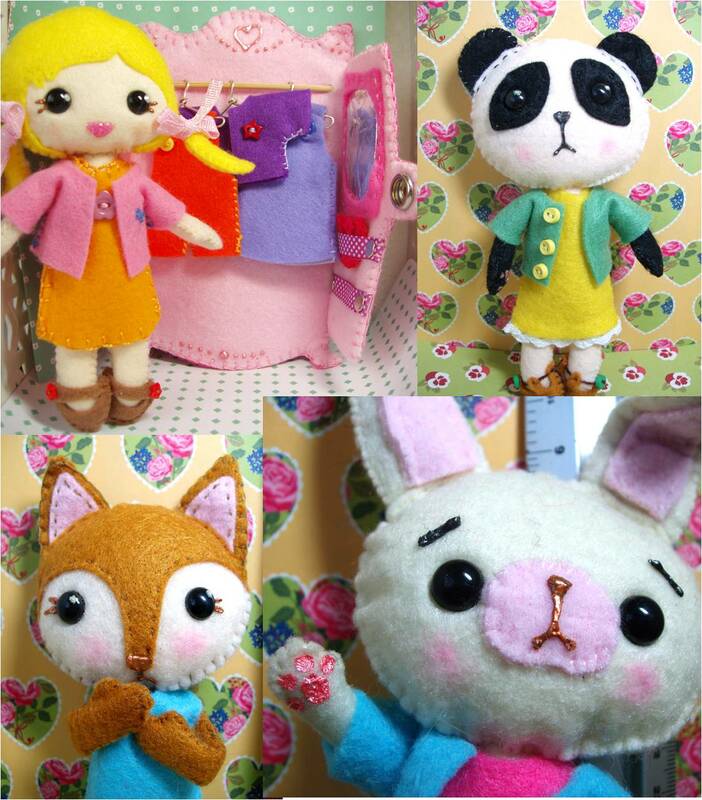 and have a variety of styles to make each doll just as you want it. Change the hair style, dress/trouser length, shoe styles and more variety coming soon. AND… Additional patterns will be available on Etsy. 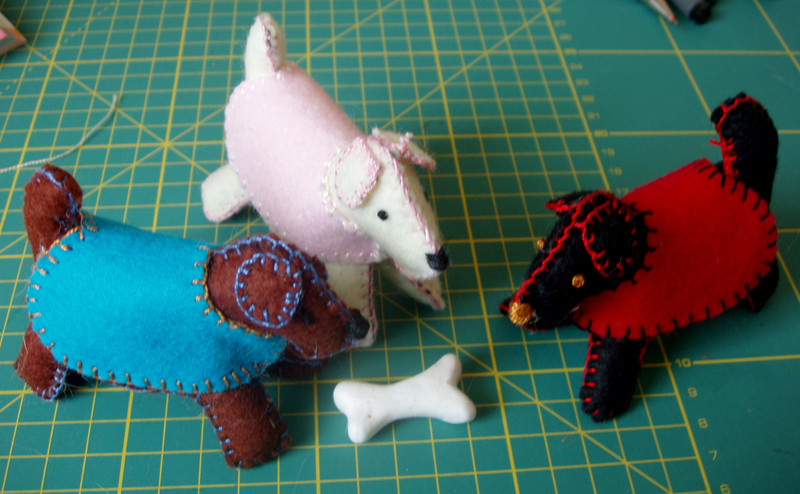 Turn your dolls into your favourite animals… build a house. Opps!! The house is a BIG SECRET!